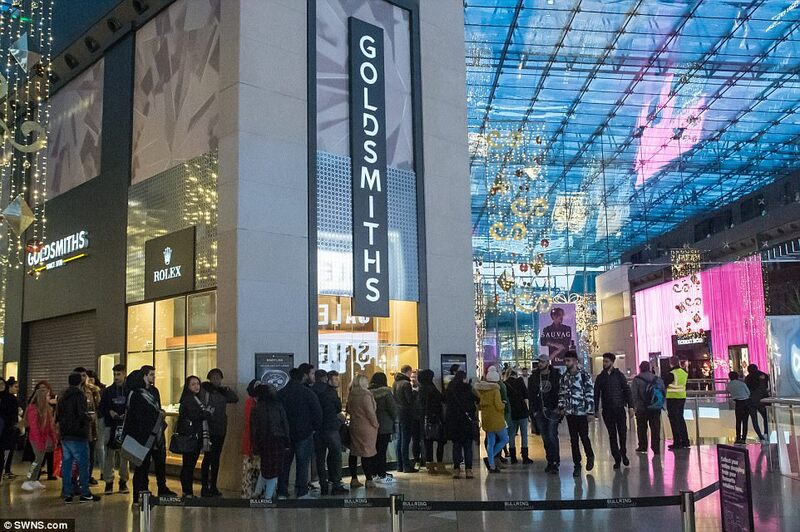 Millions of Brits braved the cold as they joined crowds of other dedicated shoppers to battle it out for the best Boxing Day bargains this morning. 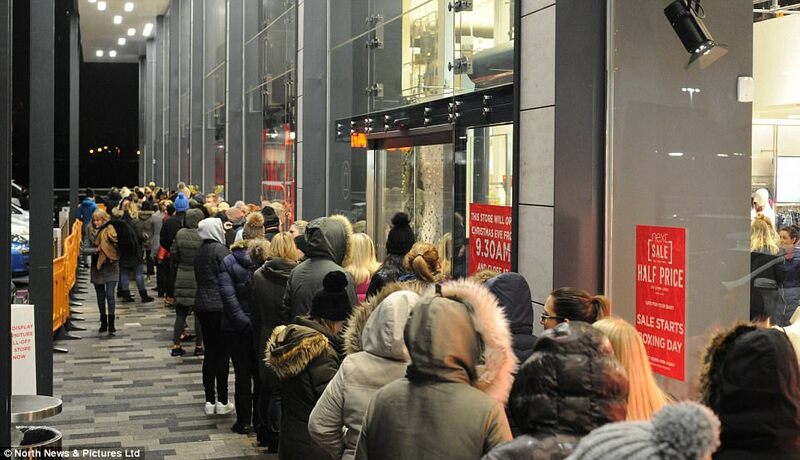 Sale shoppers queued through the night ready for doors to open as early as 6am at Next stores around the country, from Liverpool to London's Oxford Street. 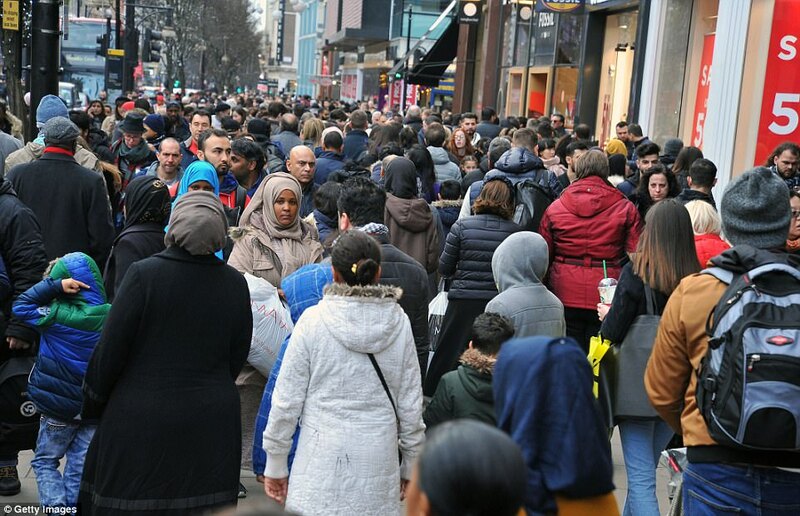 Twenty-three million people are expected to swarm high streets and crowd shopping centres up and down the country today - over one in three adults, which is 23 per cent up on last year. 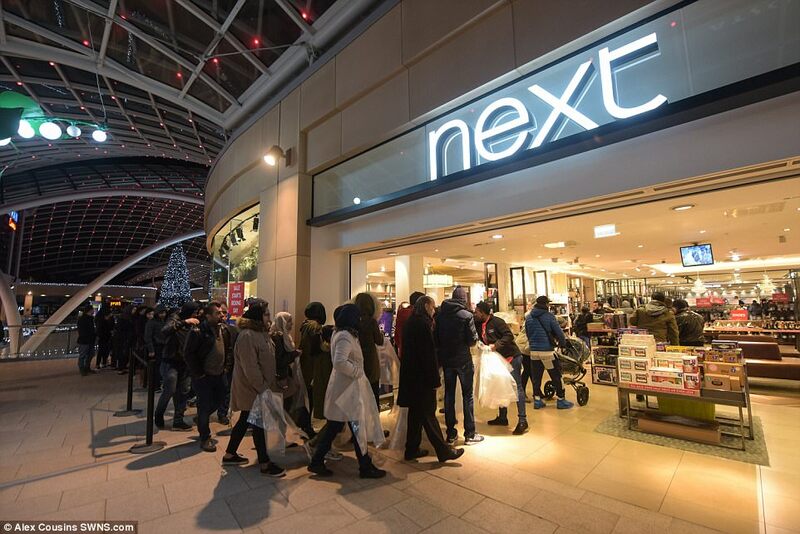 They're expected to splash out £4.5billion in total, far exceeding the Black Friday (£2.6billion) and 'last Saturday before Christmas' £1.67billion spends. 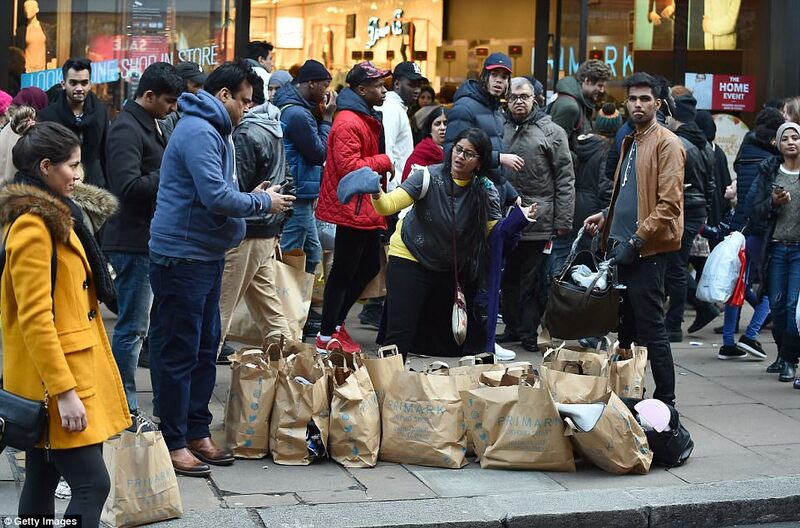 While sales at most stores began at 9am, supermarket Sainsbury's decided to let crowds in earlier at 8am. 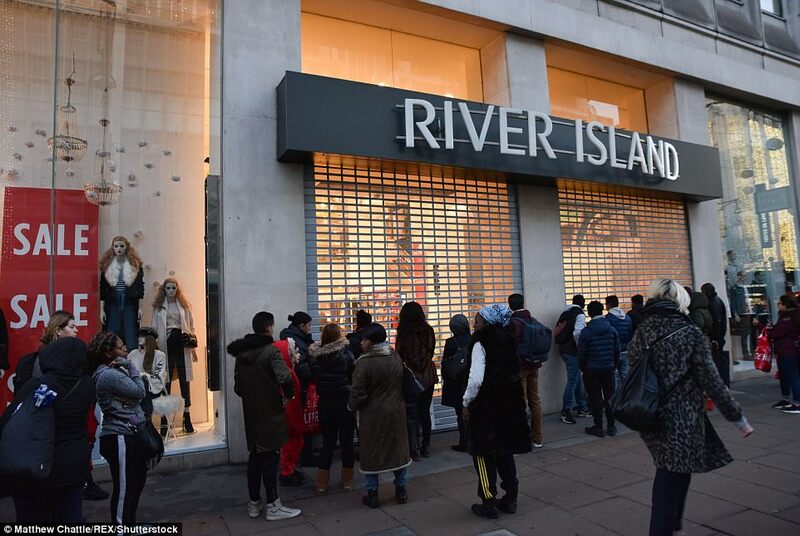 As normal opening hours approached crowds were seen waiting impatiently outside shops like Topshop, Nike, River Island and London's Selfridges. 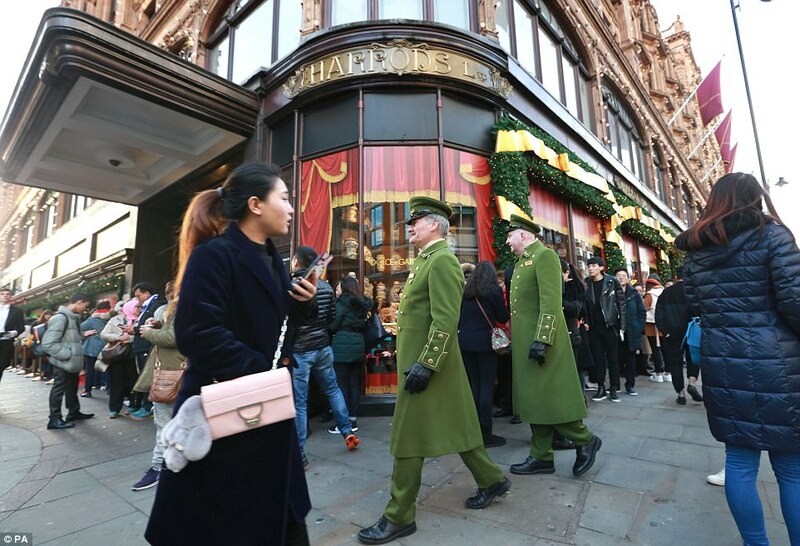 At world-famous department store Harrods, shoppers were greeted by butlers entertaining crowds while they waited. 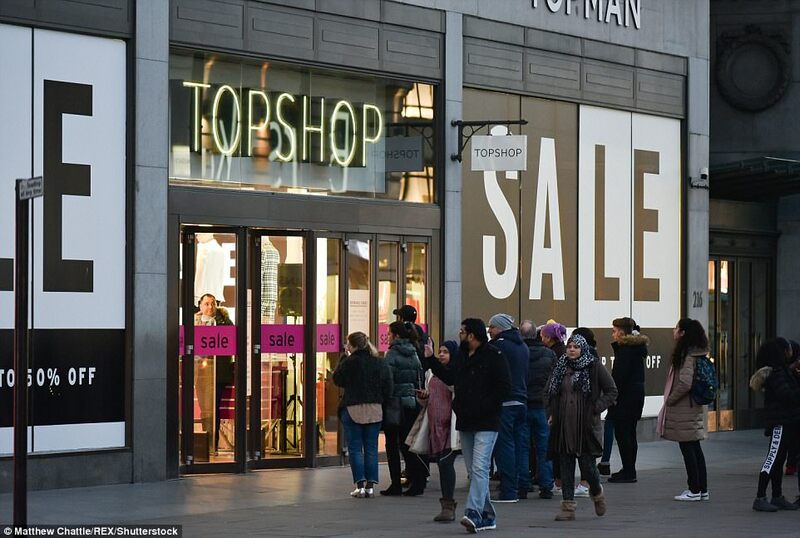 Tourists are expected to be among the biggest spenders, with foreign visitors from countries like China thought to be parting with over £1,000 each. 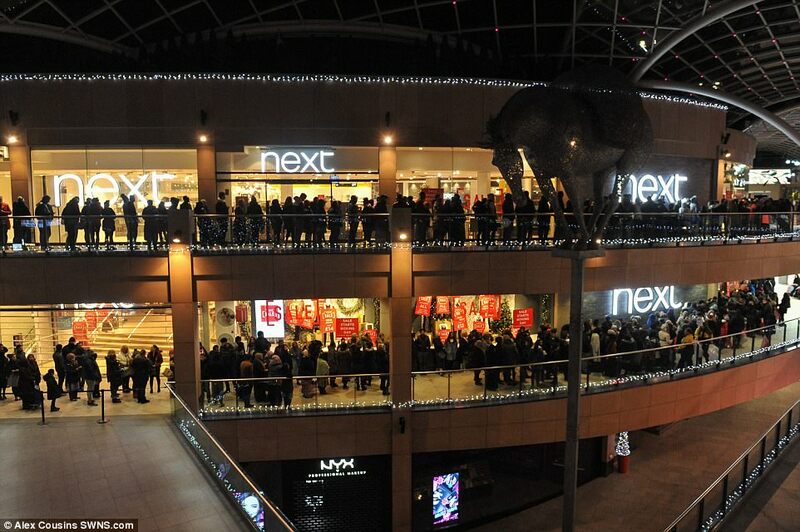 The Next store manager at the Silverlink Retail Park in Tyneside said: 'There was 820 shoppers in the first line. 'People are just running in and grabbing things, we are starting to send out full price items because sale items are already going. 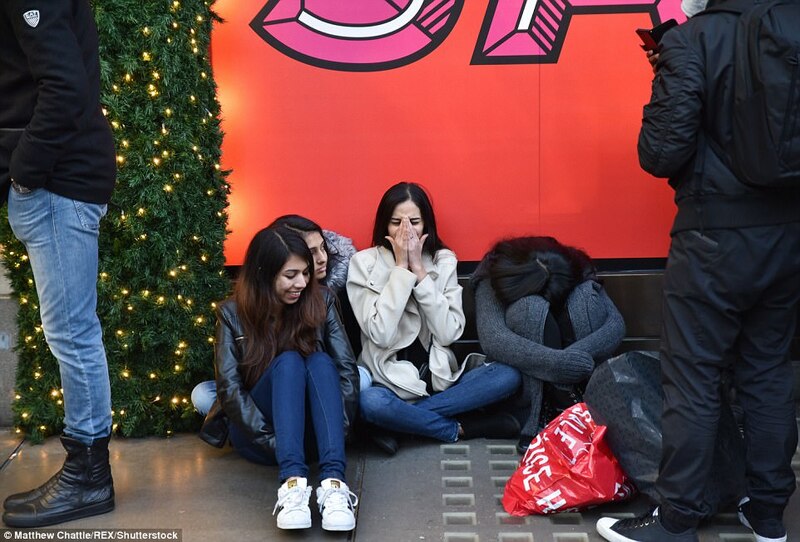 'It is one of the most hectic times of the year. It's great atmosphere in store and I love working it, I love the team spirit. 'It is very hard work but we love it, It is all about a great team and it is a short shift so we still get to go home. 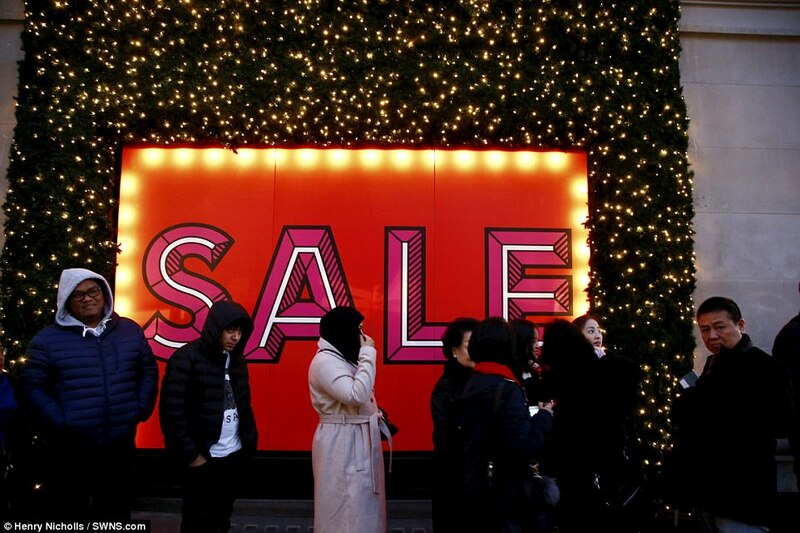 Today's frenzied bargain hunting comes after £895million was spent online on Christmas Day - up 11 per cent on last year's figure. 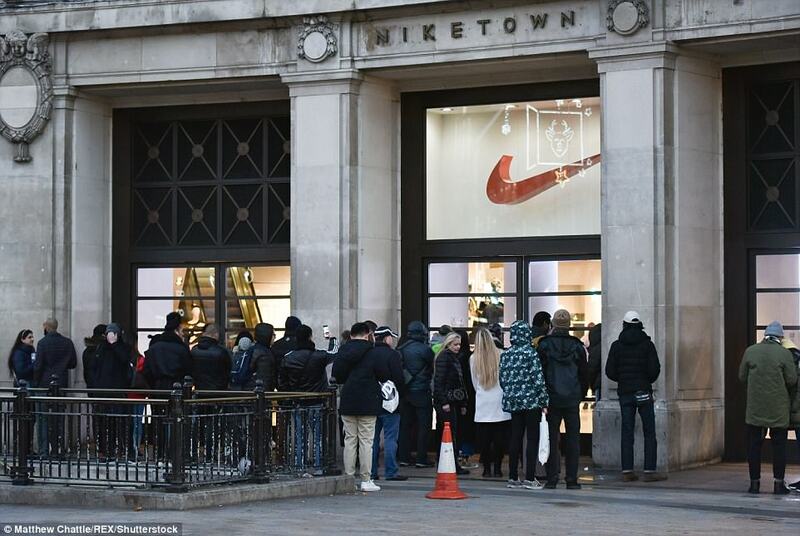 Consumer experts claim £932,000 was spent every minute of the 16 hours people were awake yesterday. It wasn't just online either. 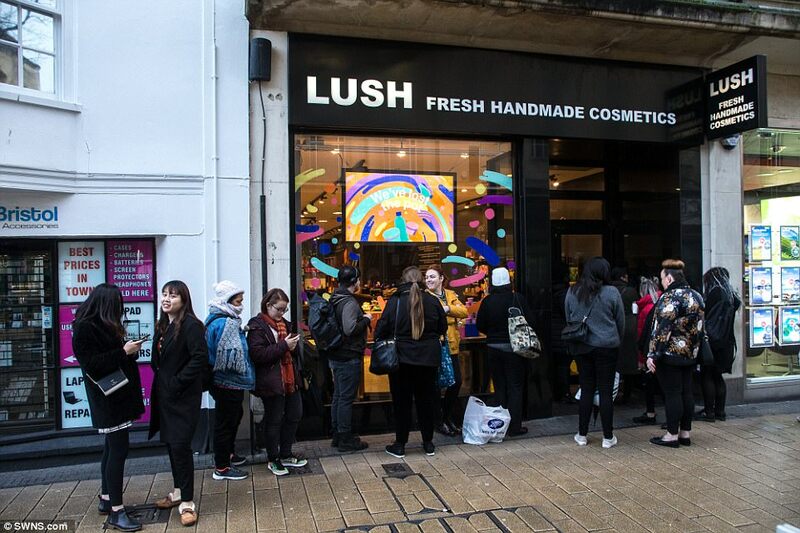 Despite most shops being shut all day, £105million was spent nationwide at 24-hour convenience stores and petrol stations. 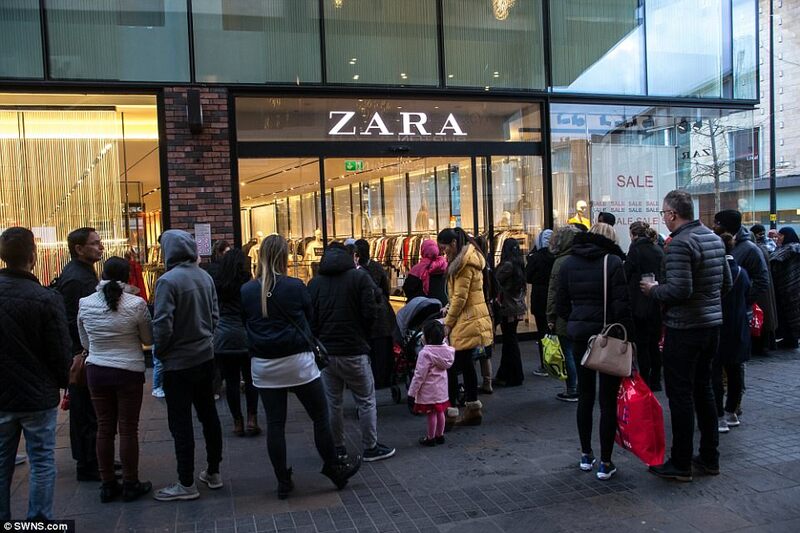 Barclaycard's poll found months of 'feeling the squeeze' this year is resulting in many consumers looking forward to the sales to ease their budgets. 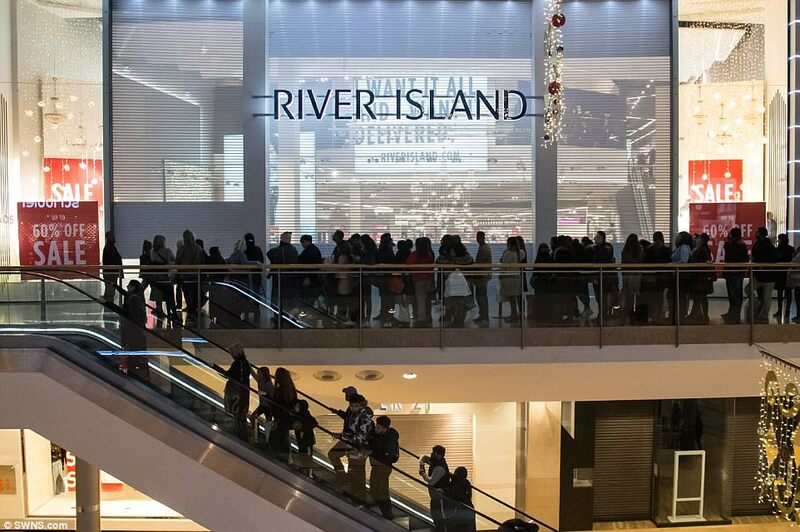 Paul Lockstone, managing director at Barclaycard, said: 'Last year, Black Friday overshadowed Boxing Day sales as many retailers struggled to maintain consumer interest in what has become a month-long discounting event. 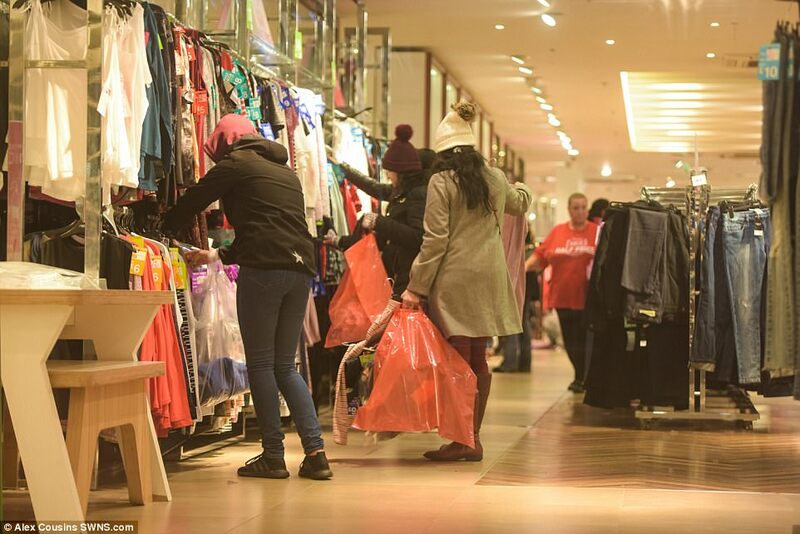 Research suggests people are focusing solely on today's sale extravaganza and not bothering with shopping in the run-up to New Year. 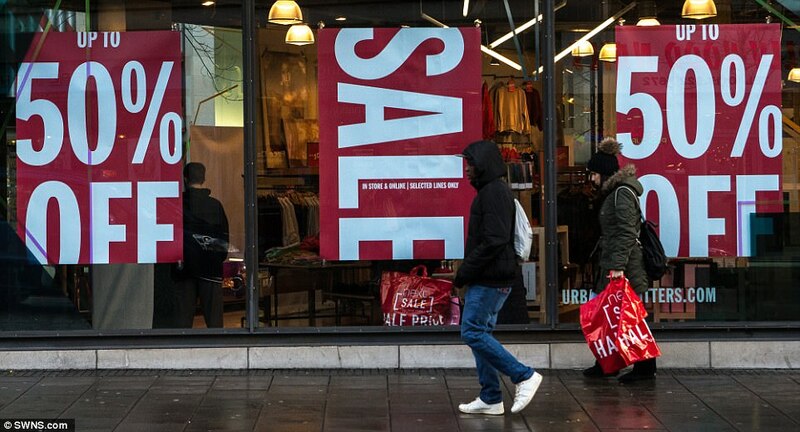 But according to another survey by the British Retail Consortium, 56 per cent of shoppers think Boxing Day shopping has lost its appeal, with many claiming they see no 'real' price reduction. 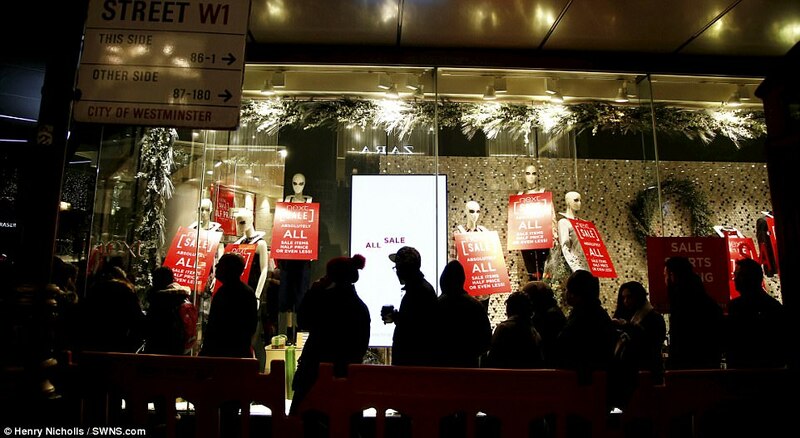 Retailers, however, are desperate to get people in the door, with some slashing prices by as much as 90 per cent. 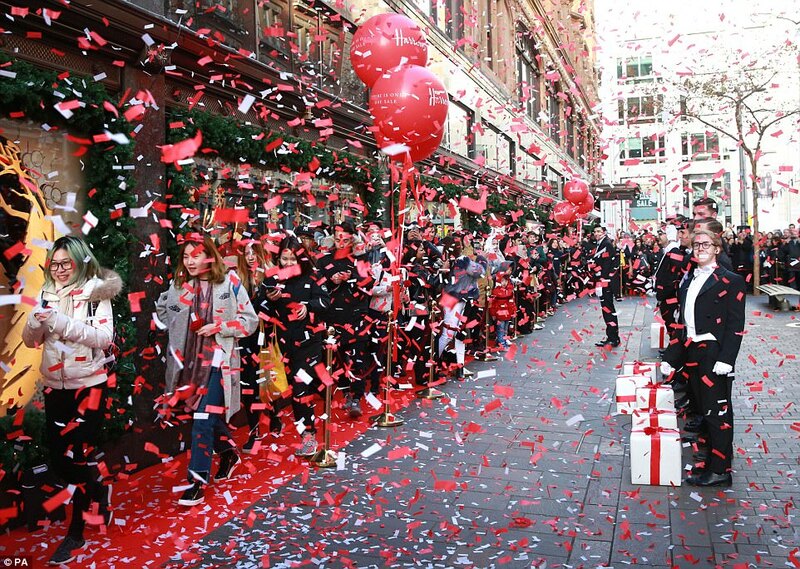 Debenhams is cutting the price of its sequin cape sleeve dress by 84 per cent - from £99 to just £15. Online Asos is following suit, reducing a men's block vest from £25 to £4.